Freight shipping on the river Rhine in Germany has returned to normal after heavy rain in the past week raised water levels, traders said on Monday.Water levels on the Rhine had been low for around six months after a hot dry summer and a dry autumn, forcing vessels to sail only partly loaded and increasing the cost of commodity deliveries. "The heavy, repeated rainfall in the past days was just what was required," one grains trader said. 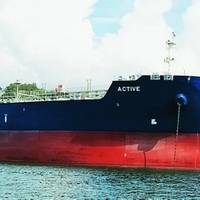 The International Maritime Organization (IMO) has so far resisted pressure to soften or postpone the implementation of new regulations requiring ships to use bunker fuels with a lower sulphur content from the start of 2020.That has prompted warnings from some analysts that the regulations will squeeze the availability of low-sulphur diesel and jet kerosene required by trucks, trains, aircraft, farmers and industry, resulting in big price increases.The regulations and any associated rise in fuel prices will occur in the run up to the next U.S.
Water levels on the Rhine River fell to a record low on Thursday and were forecast to fall even further, hampering oil product barge trading in northwest Europe.Water levels at the Kaub point of the river fell to 31 cm, according to Refinitiv Eikon data, the lowest level in data available since September 1995.Shallow water on the Rhine in Germany means freight vessels cannot sail fully loaded.The river is an important shipping route for commodities including grains, minerals, coal and oil products including heating oil. 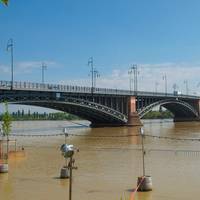 Water levels on the Rhine and Danube in Germany remain low after a recent drought and freight vessels cannot sail fully loaded on the rivers, traders said on Tuesday.Rhine water levels have risen after rain in recent days but still remain well below levels that would allow normal sailings, they said.“Most vessels are only sailing about 30 percent full,” one trader said. “The situation is worst in southern sections of the river; a lot more rain is still needed.”The Rhine is an important shipping route for commodities including grains, minerals, coal and oil products including heating oil. 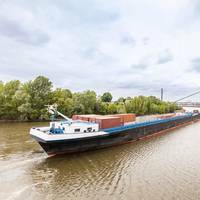 Freight is being delivered despite shallow water on the Rhine and other rivers in Germany due to drought, a shipping industry group said on Tuesday, although many vessels are being forced to carry lighter loads. 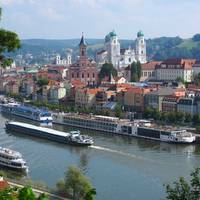 "On the Rhine, by far Germany’s most important inland waterway, river vessels can, depending on area, often only transport half of their normal loads, sometimes even less," said the association of German inland waterways shipping companies BDB.The Rhine is too shallow for normal sailings from Duisburg to south Germany, traders said on Monday. Water levels on the Rhine and Danube in Germany remain low after recent dry weather and cargo vessels cannot sail fully loaded on some sections of the rivers, traders said on Monday.The Rhine is too shallow for normal sailings from Cologne to south Germany, traders said. All of the German section of the Danube is too shallow for full loads, they said.Shallow water means vessel operators impose surcharges on freight rates, increasing costs for cargo owners.The Rhine is an important shipping route for commodities including grains, minerals, coal and oil products including heating oil. Water levels on the Rhine and Danube in Germany have fallen after recent dry weather and freight vessels cannot sail fully loaded on some sections of the rivers, traders said on Wednesday. The Rhine is too shallow for normal sailings around Cologne, traders said. 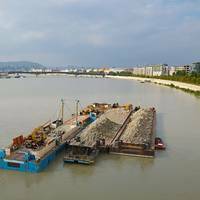 All of the German section of the Danube is too shallow for full loads, they said. 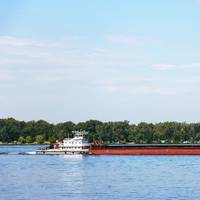 Shallow water means vessel operators impose surcharges on freight rates, increasing costs for cargo owners. The Rhine is an important shipping route for commodities including grains, minerals, coal and oil products including heating oil. Germany's Rhine river was reopened to shipping on Monday after waters fell, following its closure for the past week as rain and melting snow raised water levels, authorities said. 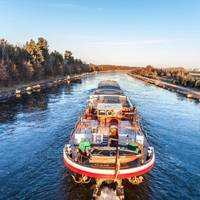 High water mostly peaked in north Germany over the weekend, but levels have fallen substantially allowing vessel sailings on the entire stretch, the river flood monitoring agency said. Some vessel speed restrictions, however, remain in north Germany, it said. Rising water levels mean vessels do not have enough space to sail under bridges. The Rhine in southern Germany remained closed to shipping on Thursday after a sharp rise in water levels and the river is likely to stay closed into the weekend, German authorities said. High water means vessels to not have enough space to pass under bridges. The river is closed to shipping from around Maxau near Karlsruhe to a point near Koblenz, preventing trips to and from Switzerland, the river flood monitoring agency said. Vessels are still able to navigate northern and central sections of the river but have to reduce speed, it said. Water levels are falling again in the southern Rhine. The river Rhine in south Germany remained closed to shipping on Wednesday after a sharp rise in water levels, a German inland navigation authority official said. 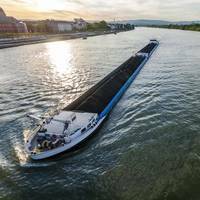 About 80 km of the river is closed to shipping from around Maxau near Karlsruhe to a point south of Mannheim, preventing sailings to and from Switzerland, he said. Northern and central sections of the river are operating normally. Water levels are starting to fall again in some areas and a reopening to shipping later this week or at the weekend could be possible, he said. 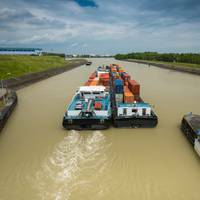 The river Rhine in Germany was reopened to shipping on Wednesday after a fall in water levels, the German inland navigation authority said. The river was closed to inland shipping at the beginning of the week after rain and melting snow raised water levels. High water means vessels do not have enough space to sail under bridges, but drier weather means water levels have dropped enough to enable navigation to resume, an official said. The Rhine is an important shipping route for commodities including minerals, coal and oil products such as heating oil, grains and animal feed. 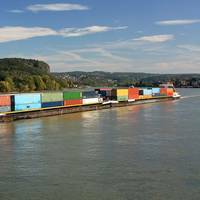 The Rhine river in Germany was closed to shipping on Monday after water levels rose following rain, the German inland navigation authority said on Monday. The river is closed between the German cities of Duisburg and Koblenz, the authority said, preventing sailings to and from Switzerland. The high water means vessels would not have enough space to sail under bridges that cross the waterway. The river is expected to crest to its highest point on Monday or Tuesday after which drier weather is expected to cause water levels to fall, the authority said. 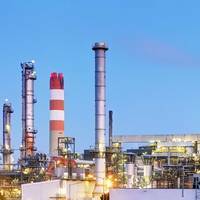 The U.S. energy industry braced for a major test to refineries and power plants as an intense winter storm roared up the Atlantic Coast, bringing heavy snowfall and high winds to a region already beset with several days of extreme cold. 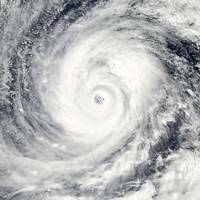 The storm is the product of a rapid and rare sharp drop in barometric pressure known as bombogenesis, or bomb cyclone. Heavy snow pounded the East Coast along a front stretching from Maine as far south as North Carolina early on Thursday, knocking out power, icing over roadways and closing hundreds of schools. 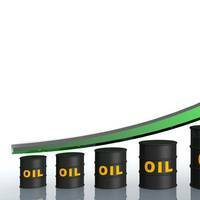 Hedge funds gamble OPEC will tighten oil market too much. Hedge funds are the most bullish about oil prices in years, expecting further gains even as prices touch multi-year highs and ignoring the risk linked to such a large concentration of positions. A record net long position has been accumulated by hedge funds and other money managers, amounting to 1,183 million barrels in the five biggest futures and options contracts covering crude, gasoline and heating oil. 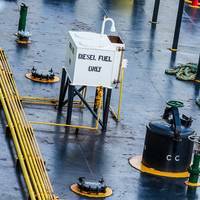 Portfolio managers held a record 1,328 million barrels of long positions in Brent, WTI, U.S. gasoline and U.S. heating oil on Dec.
Water on the Rhine and Danube in Germany remains shallow and cargo vessels cannot sail fully loaded, traders said on Monday. The rivers had fallen below normal levels in late June after dry weather. 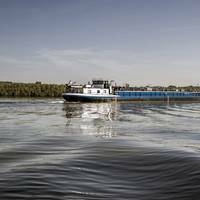 The Rhine is still too shallow for normal sailings from Duisburg and Cologne to southern stretches of the river, traders said. All of the Danube in Germany is too shallow for normal loading. 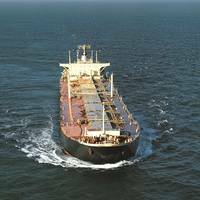 Shallow water means vessel operators impose surcharges on freight rates, increasing costs for cargo owners.